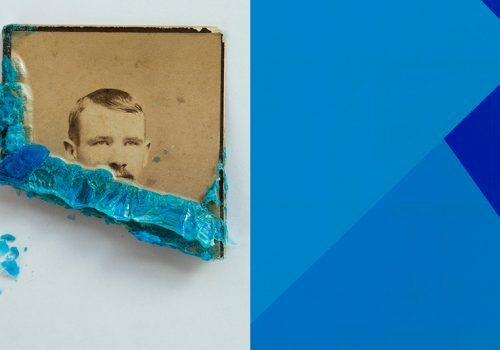 Christina Cuthbertson’s curatorial work centers on notions of affect and embodiment in terms of the relationships between institution, experience, and transference of knowledge. Working beyond the boundaries of the art institution, her projects have taken many forms including exhibitions, interdisciplinary collaborations, performances, and sensory experiences. 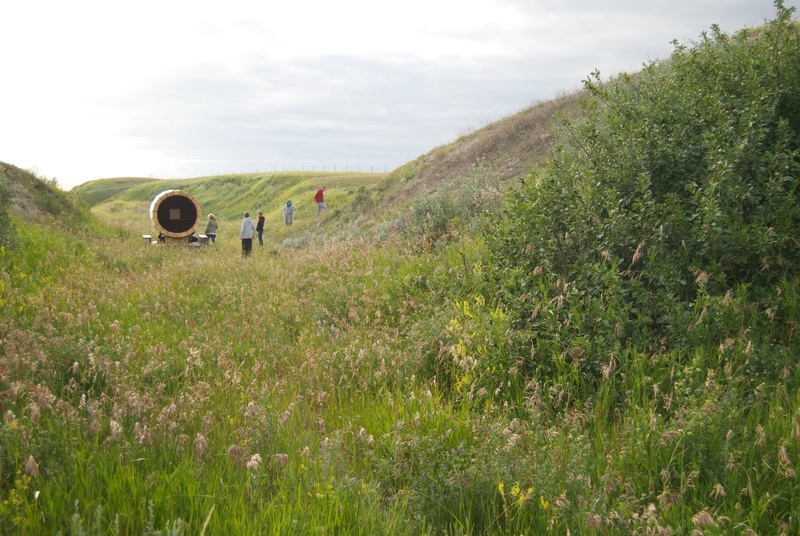 Christina Cuthbertson is an independent curator and writer based in Lethbridge, Alberta, in Treaty 7 Territory. She was a curator at the Southern Alberta Art Gallery, and curator-in-residence at the Banff Centre for Arts and Creativity in 2018. 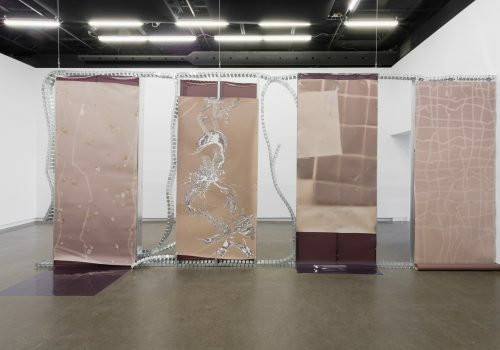 Brendan Fernandes, Still Move, 2015, exhibition view. Petra Mala Miller, Portraits in Light, 2015, exhibition view. Mary Kavanagh, Rosa The Beautiful, 2019, uranium glass, detail from the exhibition, 'Daughters of Uranium'. 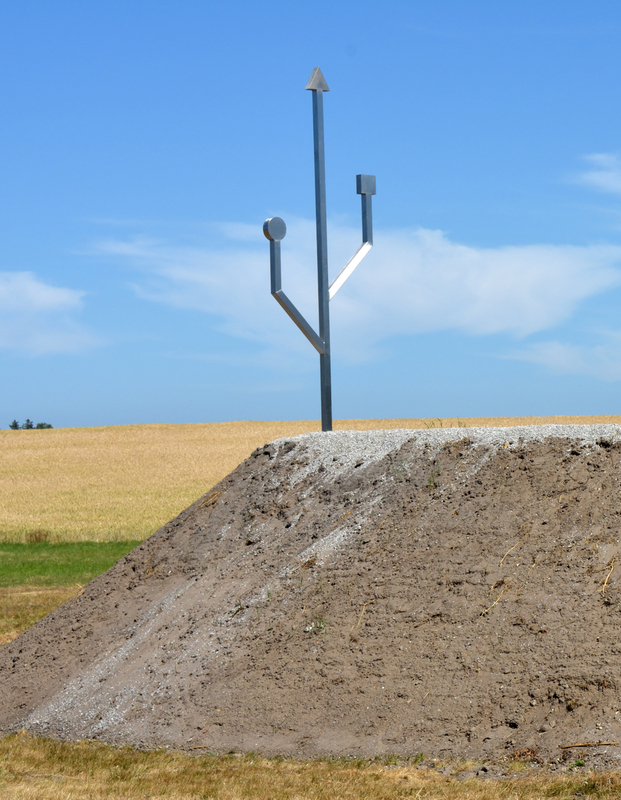 Matt Walker, Device for the Emancipation of the Landscape, 2014, performance with sound canon from the exhibition 'Into the Streets'. 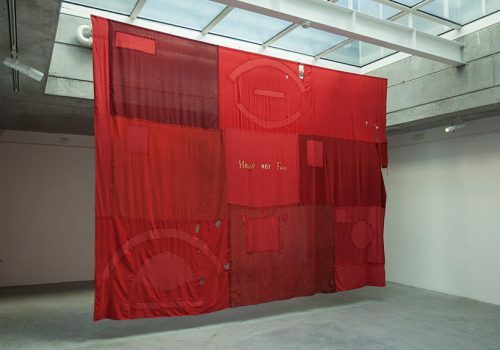 VOID is a Brussels-based visual art collective founded in 2013 by Arnaud Eeckhout and Mauro Vitturini. 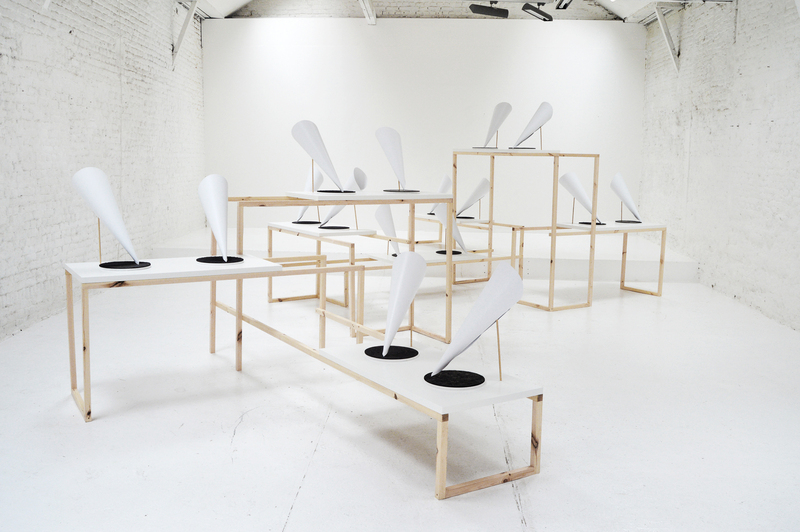 VOID’s research is focused on the use of sound as a visual medium to question human perception and interaction. 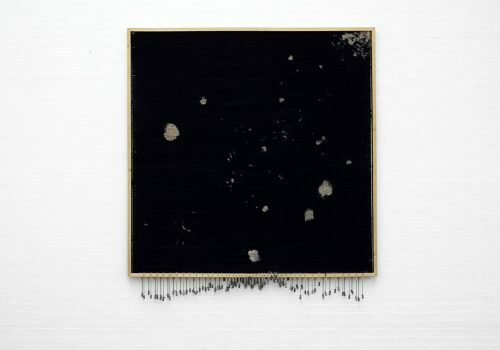 VOID has exhibited work at ARTER – Space for Art, Istanbul; BOZAR Centre for Fine Arts, Brussels; and Museum of Contemporary Art of Rome, among others. VOID, Bruit Blanc, 2015, mixed media, dimensions variable. 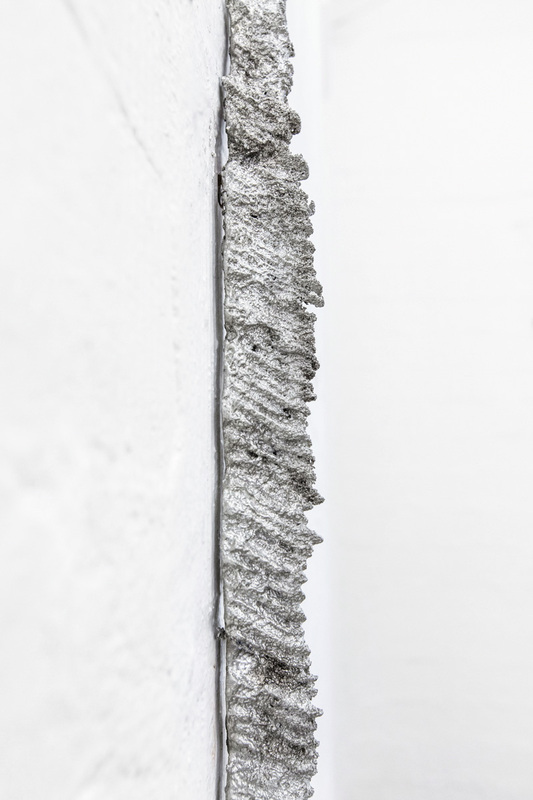 VOID, Au clair de la lune, 2017, casted tin, dimensions variable. 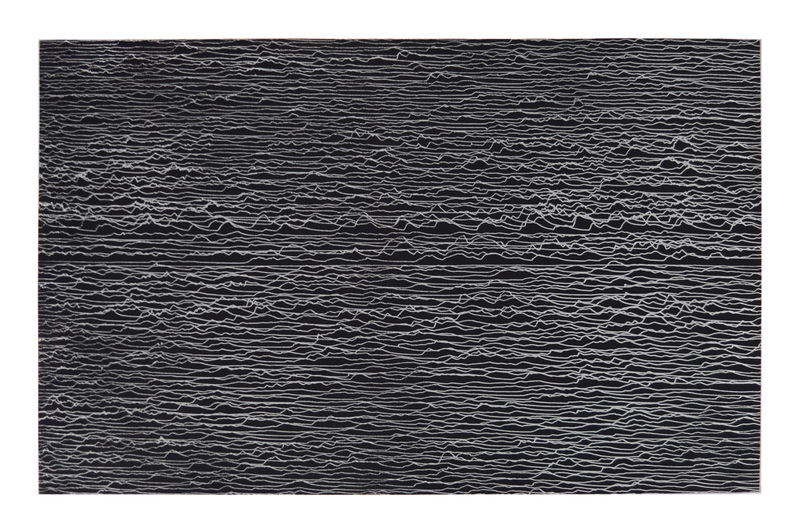 VOID, Phonautogram #n, 2018, sound engraving on smoke-blackened paper, dimensions variable. 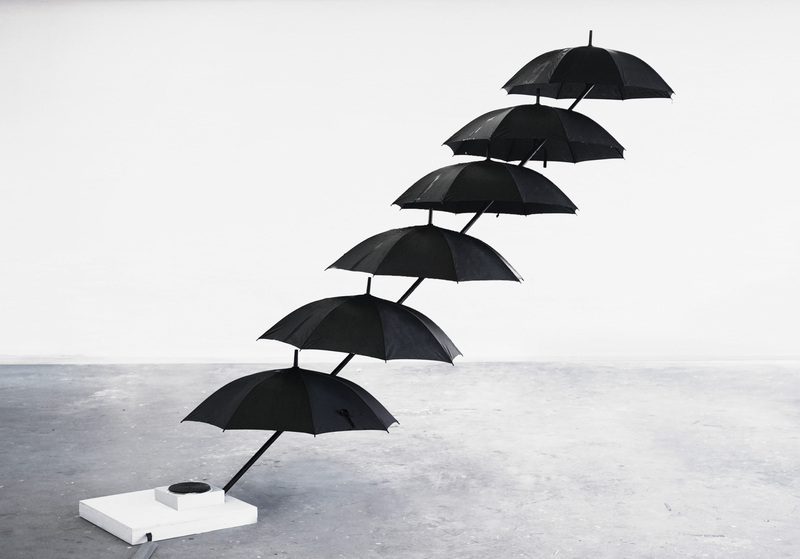 VOID, One Drop, 2013, mixed media, 124 × 100 × 39 in. 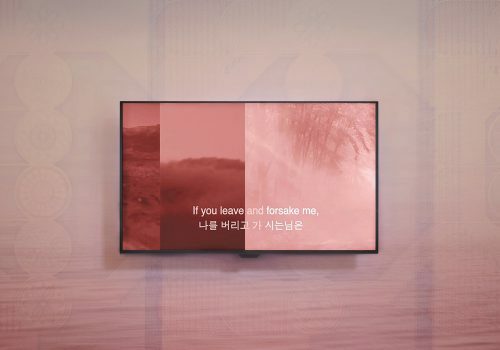 (314.96 × 254 × 99.06 cm). 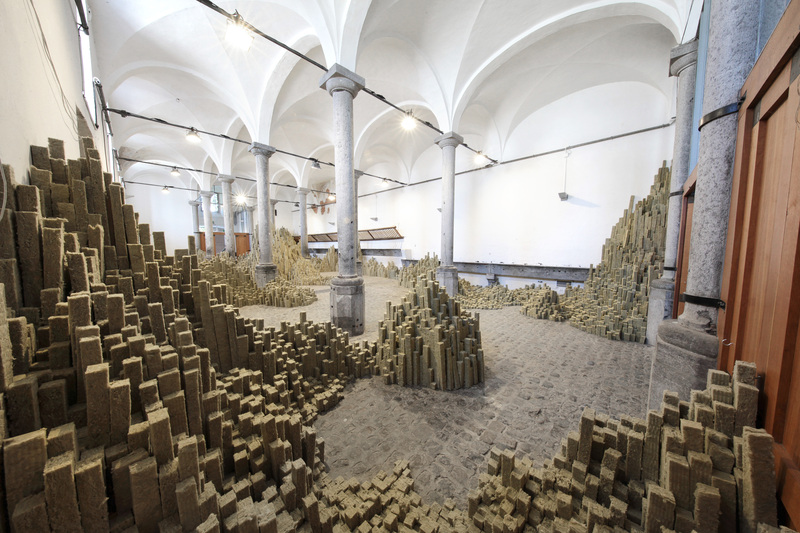 VOID, Orgue Basaltique, 2018, mineral wool, dimensions variable. Jens Settergren is concerned with the production of collective imaginaries, contemporary mythologies, desire, and visual culture. 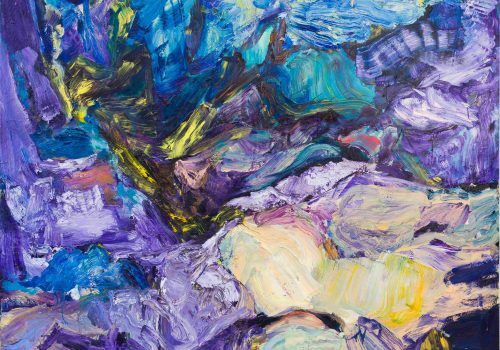 His works reflect how these subjects are expressed in images, objects, and language. 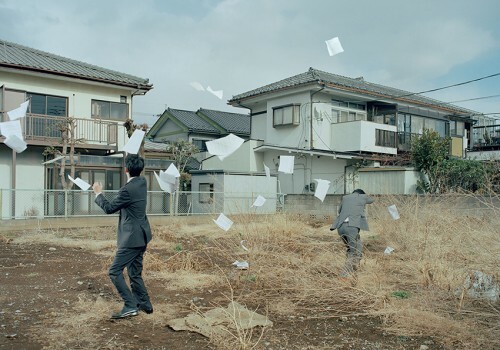 Working individually and collectively, he explores correlations between technology, nature, escapism, and power. 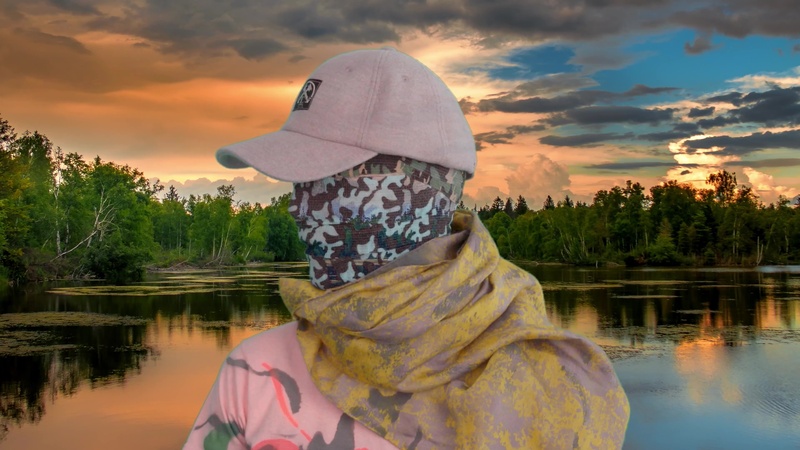 Lately his work has taken the form of immersive installations synthesizing different means of expression revolving around the notions of simulation and synesthesia – incorporating smell, temperature, sound, and color as a strategy to evoke various mental imagery. 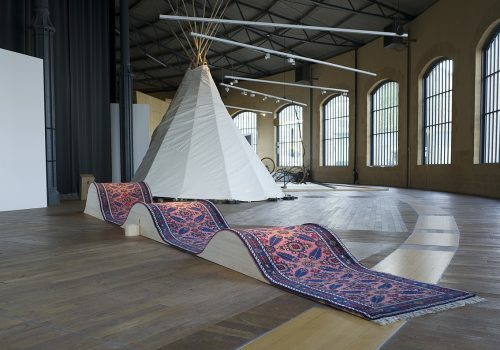 Jens Settergren has exhibited work at die raum, Berlin; INCA Institute, Portland; and Kunsthal Aarhus, among others. 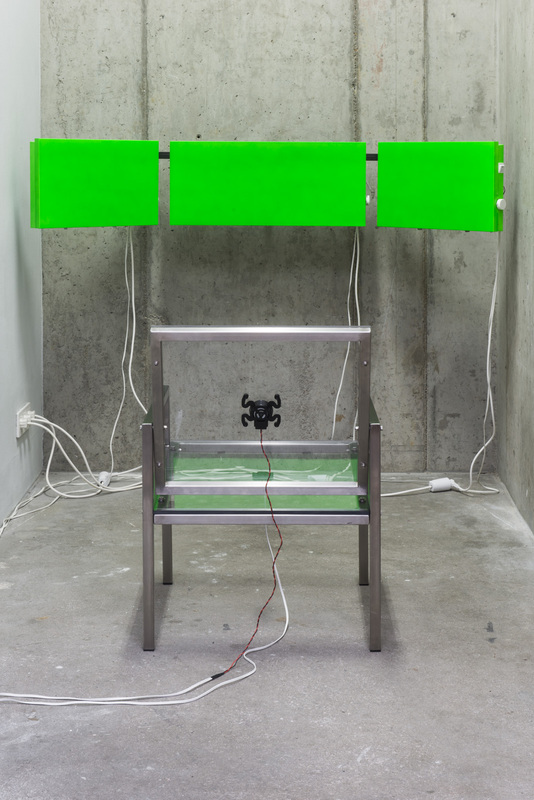 Jens Settergren, In Aestu Solis, 2018, electrical heaters, neon spray paint, steel, polycarbonate, surface transducers, and surround sound system, dimensions variable. 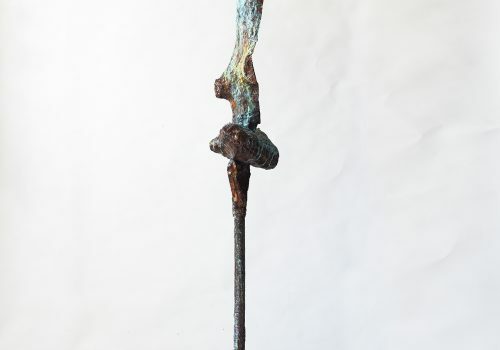 Jens Settergren, Ascent of the Mighty Trident, 2018, Earth and stainless steel, 492 × 170 in. (1249.68 × 431.8 cm). Jens Settergren, Be a Pattern for the World, 2018, video collaboration with Piscine and Bergman & Salinas, 5:48 min. 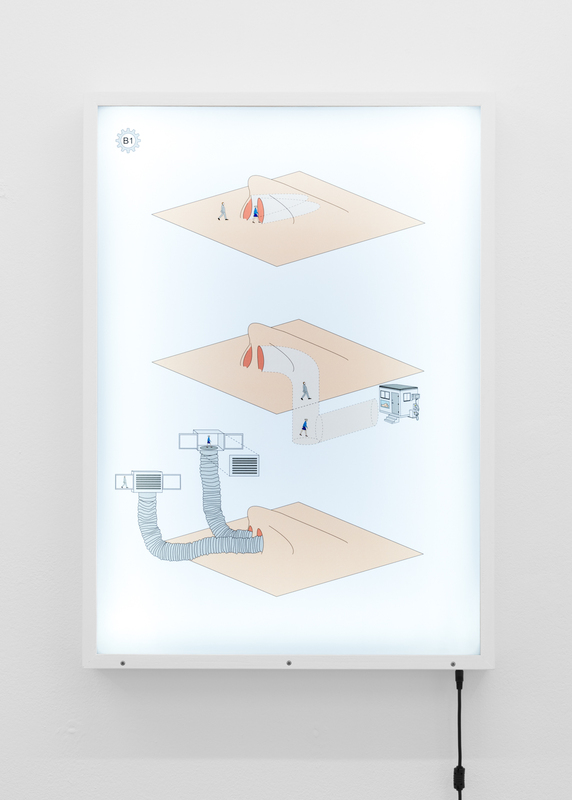 Jens Settergren, PLEASURE MACHINE, or Nose, 2018, Light box with printed foil on acrylic sheet; collaboration with Piscine, 28 × 20 × 3 in. (71.12 × 50.8 × 7.62 cm). 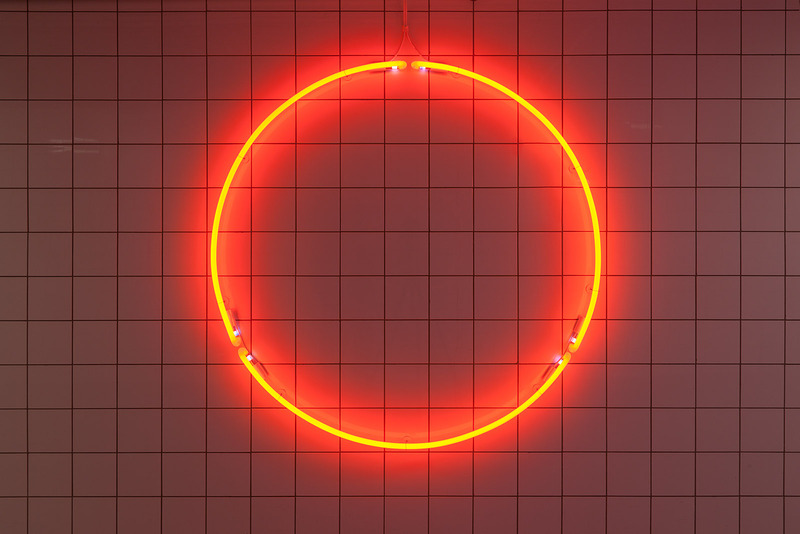 Jens Settergren, Portal, 2017, neon lights, dimensions variable.